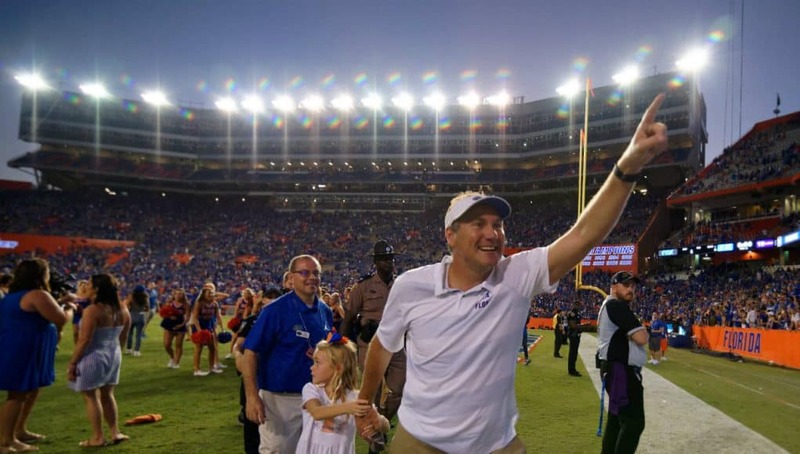 Florida Gators head coach Dan Mullen spoke to the media on Monday following a great home win over LSU on Saturday. He updated on injuries, talked about the development of the team this season and looked forward to the week ahead with Vanderbilt coming up. 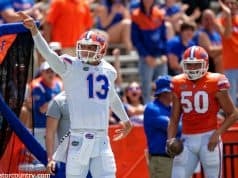 •	The Gators got through the LSU game injury-free. 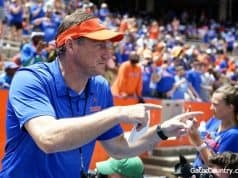 •	Mullen said he got a bit conservative in his play calling at times last week, and some offensive struggles were on him as much as the execution. •	Brett Heggie graded out a Champion against LSU and Mullen said he was encouraged by the physicality he played with at times. •	Tyrie Cleveland has bought into being a good special teams player and he takes pride in it. •	Lucas Krull is still growing back into being a football player, but Mullen said he has a special skillset. •	Mullen said he’s never had a pass rusher that’s as quick and explosive off the edge as Jachai Polite. •	Mental toughness will be a big concern this week. After three tough games, Mullen said Florida can’t let the change in environment at Vanderbilt affect anything.